Sanya has attracted the world’s attention not only because of bikini-clad beauties and sunshine, but also its satisfactory and successful performances during the stopover time of the Volvo Ocean Race 2011-12. 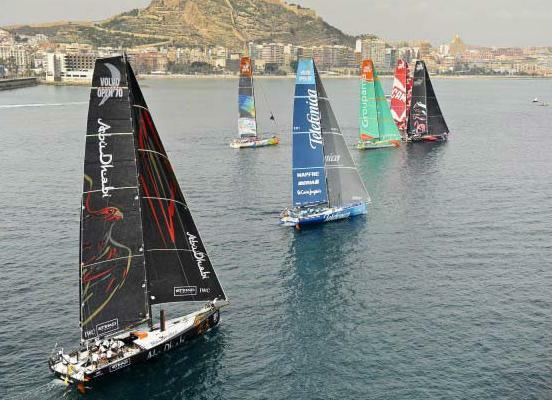 Sanya is going to build itself into China’s "capital of sailing" through the Volvo Ocean Race, the most influential and challenging professional sailing race in the world. From 4th to 19th February, Sanya Race Village has held and will hold activities like the opening ceremony of the Sanya Race Village, Mayors‘ Forum for stopover cities, Sanya In-Port Race, and the ceremony for the start of Leg 4 sailing to Auckland. More than 50 countries such as New Zealand, Spain and America have live broadcasts on it, and it‘s estimated to attract more than 1.327 billion yachting enthusiasts. During the stopover time in Sanya, yachting-themed activities and TV programs also lit up the enthusiasm of the home city’s audiences. The Sanya government is confident that Sanya will become China’s "capital of sailing" by way of introducing and hosting world-class sailing races, and to promote the image of the International Tourism Island in Hainan.